Book Making: Can you really produce a decent print book with Microsoft Word? Can you really produce a decent print book with Microsoft Word? I've used Word to make more than 40 books. They probably don’t look too much worse than books that were composed with Adobe InDesign or Quark Express, which are used by traditional publishers and some self-publishers. Ironically, some of the ugliest books I've ever seen were formatted with InDesign (and some of the ugliest were formatted with Word). Knowing how to use ‘professional’ software doesn’t mean someone recognizes or is capable of good design. 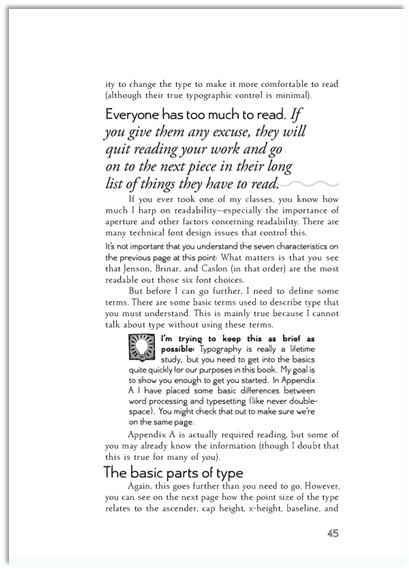 The page above was formatted with InDesign and is from a book about using InDesign. The multiple typefaces, mixture of margins, lack of hyphens, distracting squiggle and light bulb icon make it a chore to read. Many self-publishing companies endorse the use of Word. 48Hr Books says, “We now have Free Templates for Microsoft Word, Word Perfect, Open Office, Pages or just about any other word processor.” Bookstand Publishing and CreateSpace provide similar templates—but if you can use Word, you shouldn’t need a template. The ‘adult’ software can cost as much as $849 and can take a long time to learn how to use properly. 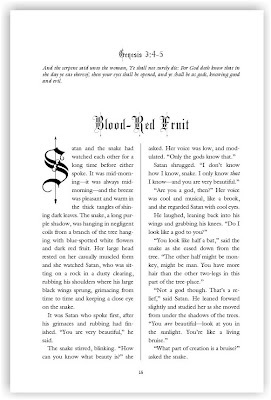 I’ve done some test pages with InDesign and have been planning to try it for a future book — but I’ve been planning that for two years and still have not used it. I am happy enough with Word. 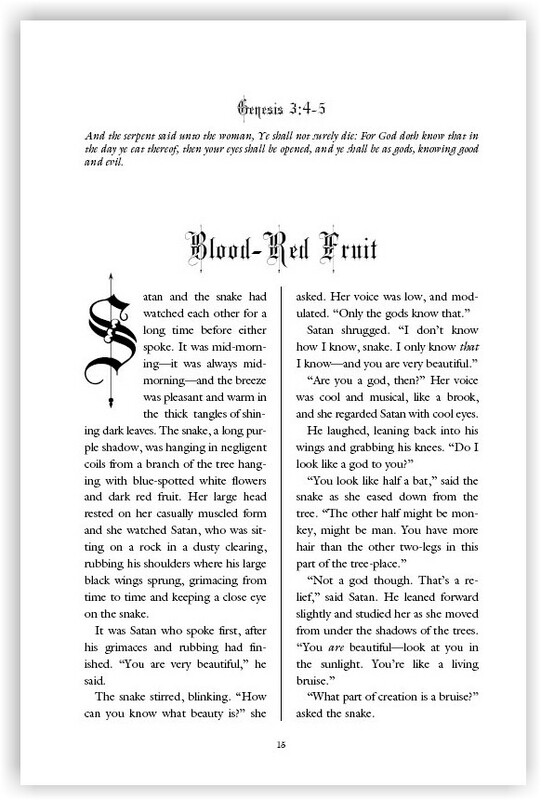 I could probably write a book and format it in Word in the time it would take to learn how to use InDesign properly. Additionally, much (or maybe even all) of the advantage of using professional formatting software is lost when producing e-books, which are becoming increasingly important in the publishing business — especially for independent publishers. And finally, most writers already own Word and know how to use it. They can quickly learn how to use some of its often-untapped power to produce a manuscript that’s nearly ready to become a book. Both time and money are usually limited for independent authors. 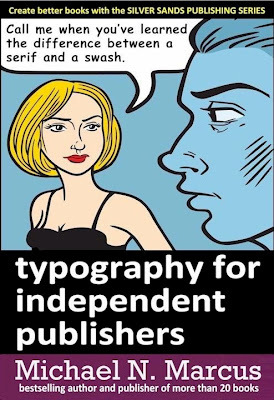 If you have an unlimited supply of both, sure, go ahead and buy InDesign and learn how to use it. If you do have limits, my new book (below) will tell you how to make better use of the software you already own. Word often makes mistakes with hyphens. See this blog post for some horrifying and funny examples. Although Word can make numbered lists automatically, the lists may be ugly, inconsistent and unstable. I’ve seen some ghastly spacing after two-digit numbers in a list. It’s sometimes better to insert numbers manually from the Symbol section. Word often puts too much space between letters. 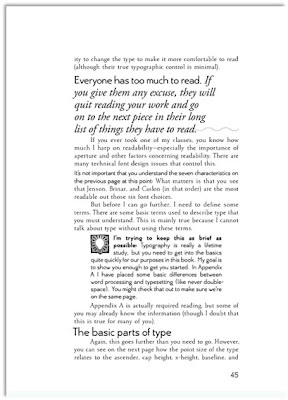 The “loose” text will make a book look much worse than one designed with ‘real’ publishing software. Word sometimes seems to have a mind of its own — and it’s ignorant, confused, obstinate and sadistic. Text within headers and footers will shift just to piss you off, and horizontal lines may appear, shift and refuse to go away. 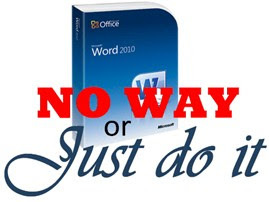 Word 2010/2013 will stretch out a document that originated in Word 2007. ISPITA: If you go from Word 2007 to 2010/2013, some spaces between words may disappear. The document may also become unstable, with frequent crashes. Sometimes Word refuses to let you click on spaces that you want to modify. Word — like many computer programs — will stall or save just when you want it to do something. 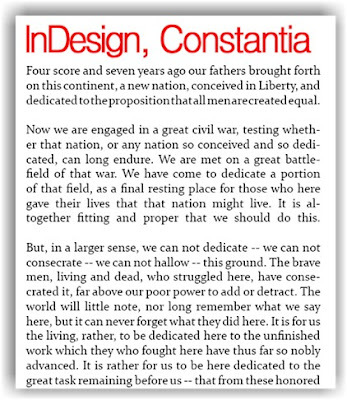 The test page above was composed with Word using 16-point Constantia type, with no modifications. 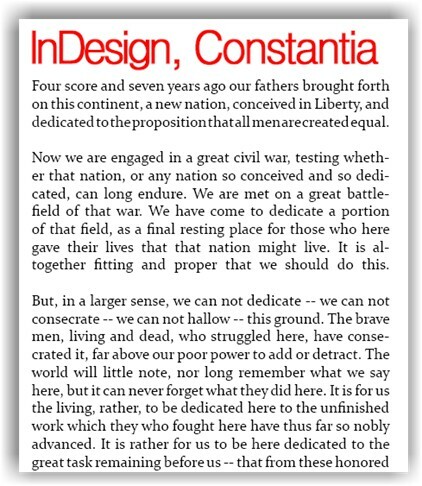 This page was composed with Adobe InDesign CS6 using 16-point Constantia, with no modifications. The second line is tighter than the same line produced with Word and looks better. The second paragraph is too loose. Without modifications, neither page is perfect, but it is possible to produce an attractive page with Word, without incurring the high cost of InDesign or taking a long time to learn how to use it. What language do they speak at Mickey Dee's? "I read it on the Internet so it must be true." How do you pronounce "the?" Could you be wrong? "Got" has got to be used less often. Got damn it! What's a typo and what's nto a typoo?